Divorced and in the Air Force? Male or female, enlisted or officer, if you want to share your story, we’re here to listen. 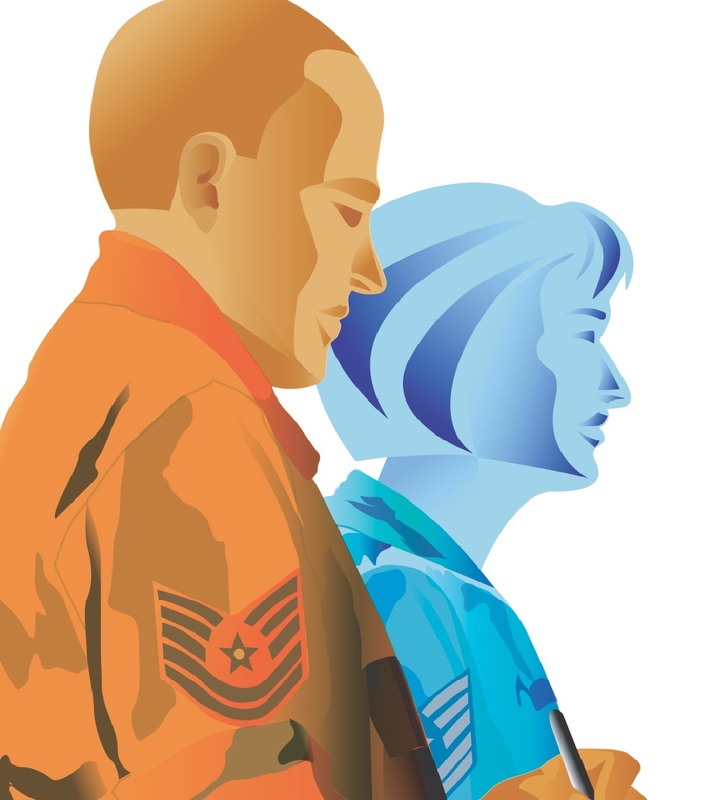 Are you an Air Force member who’s gotten divorced or the ex-spouse of an Air Force member? How have you been coping with the changes? Have you reached out to resources such as a chaplain or a military family life consultant? If you’ve been divorced for some time, did you remarry? How has your life changed? What has been the toughest part? OR if you were on the verge of divorce, what stopped you? How did you resolve your marriage? What or who helped you resolve these issues? I left my exhusband 3 years ago this fall. He was having an affair with a coworker (also married) and becoming increasingly more erratic/violent in his behavior. I called military onesource for referal to a counselor. OUr counselor was a quack/joke at best. After I left him I hoped that losing me and our son would be the kick in the rear he needed to change his behavior. I sent pictures (of damage he did to our house during an outburst when I confronted him on the affair) and phone records to the first shirt who basically told me that it was a civil matter. This was AFTER she contacted my active duty brother’s first shirt to make him tell my ex where I had gone. My ex was claiming BAH with dependants after I left. His whole squadron up to the commander knew he was frauding the military (even while not supporting me or our child financially). The military preaches family, honor, integrity, service above self, but really I don’t feel like they mean it. 1. Almost half of all marriages end in divorce. Roughly 2/3rds of the divorces are filed by the wives. 2. All of my friends with European wives are now divorced. The wives don’t want to leave Europe, but there aren’t any jobs there. 44 is too young to completely retire, especially if you are trying to put a kid though college. 3. Menopause is a dangerous time for a marriage. 4. The Uniformed Services Former Spouses Protection Act (USFSPA) doesn’t care if your wife has a master’s degree and her own career. She WILL be awarded up to half your retirement and possibly be awarded alimony on top of that. And of course, half of your savings and everything else will be gone. Thank god my kids are grown or child support would be in the mix too. I’m 50 years old and I’m starting over from scratch. I don’t see myself ever getting married again and frankly, I wouldn’t recommend that any man get married. The laws are clearly slanted in favor of women and women know it so they are more inclined to walk when the time is right for them. When young soldiers go through basic training they receive instruction on the basics of personal financial management, but I doubt they ever hear anything about the USFPSA until it is too late. I will NEVER get remarried. Eric, USFSPA has the potential to screw any military member, not just men. My ex separated from active duty to pursue a 3rd master’s degree. If our divorce had been contested, he would have ended up with 50% of my retirement. Never mind that I’m the one who deviated from my normal career path to get join spouse assignments, never mind that we still ended up stationed apart for about half of our marriage, never mind that he has now established himself in the civilian world… it’s easier for a judge to just apply what the law allows rather than spend the time to consider the circumstances. As it turned out, he did finally consent to an uncontested divorce but it took 17 months to get it finalized, with him threatening to go for my retirement the entire time. My advice to anyone considering marriage is to get a prenup, even if either or both parties are coming into the marriage with limited assets (or, as my lawyer friend would say, ESPECIALLY if either/both are…). Romantic? Nope. Smart? Definitely. As for some of your other comments, misogynistic much?